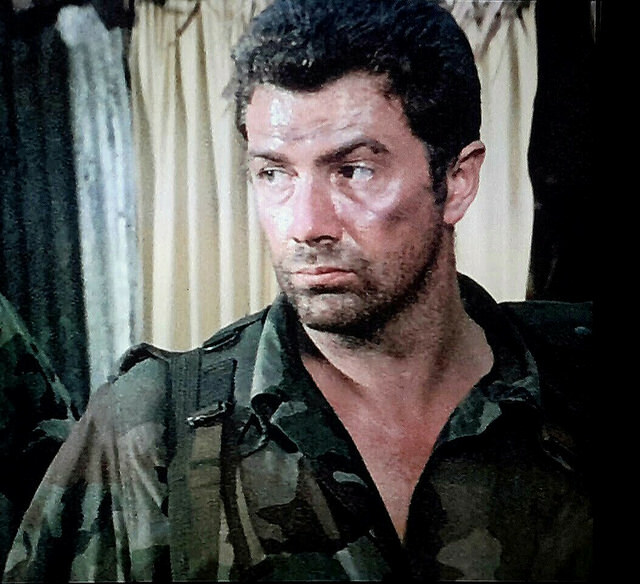 #307....."LEWIS COLLINS" - BODIE 3.7 . you'll never walk alone ! Oh, yessssssssssss please! That look, those cheekbones.... need I go on? Fantastic picture of a very macho and menacing Lewis. Thank you! Thankyou so much and i think you have covered everything about (gorgeous, dangerous and delicious) Lew in his military fatigues. Oooh yes yes and YES, that sounds very appealing . He looks fabulous here and the jungle life suits him so much. This should warm us up at a cold time of year - I love it! Thank you so much for sharing! mmmm i'm feel better already and the cold seems to have dispersed all becaiuse of Lew and the way he wears those fatigues. Glad you like it and you are very welcome, thankyou. Thankyou and you are most welcome.